“Whatever befalls the earth, befalls the sons of the earth. If men spit upon the ground, they spit upon themselves. This we know. The earth does not belong to man; man belongs to the earth. This we know. All things are connected like the blood which unites one family. All things are connected. Whatever befalls the earth befalls the sons of the earth. Man did not weave the web of life; he is merely a strand in it.” ~ Chief Seathl – a Native American Indian Chief, in his reply to the President of the United States circa 1860. The natural beauty of our surroundings is often what most inspires all our creative passions. 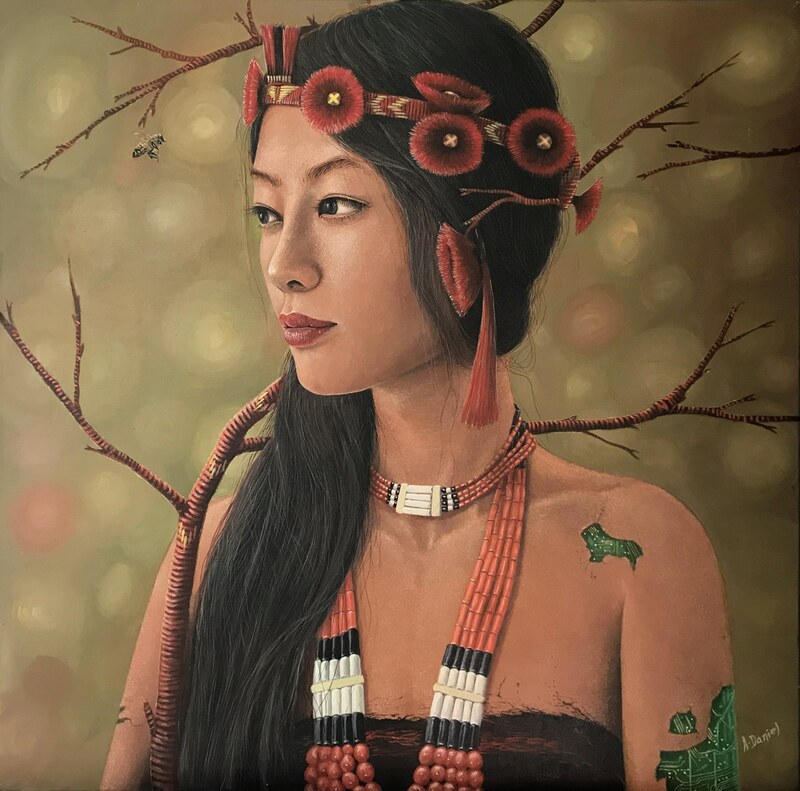 For Daniel Rai, a lecturer by profession and artist by hobby, it’s the relationship between humans and our environment and the elements of nature, which pretty much dates back to millions of years that fascinates him to create his stunning portrait and scenic paintings. 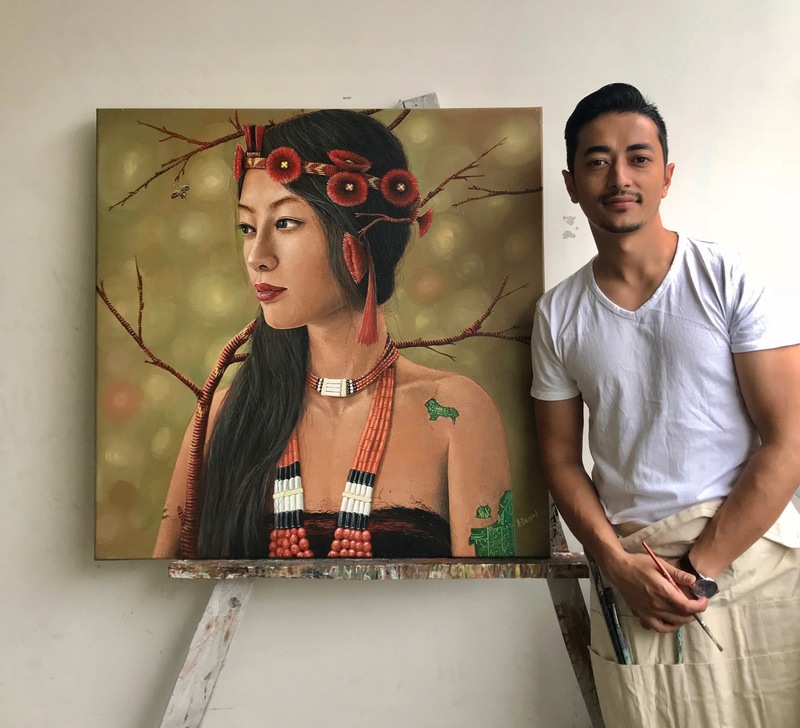 Today, we are happy to feature painter and artist Daniel Rai who grew up in a village called Pastanga Assam Lingzey in Sikkim. 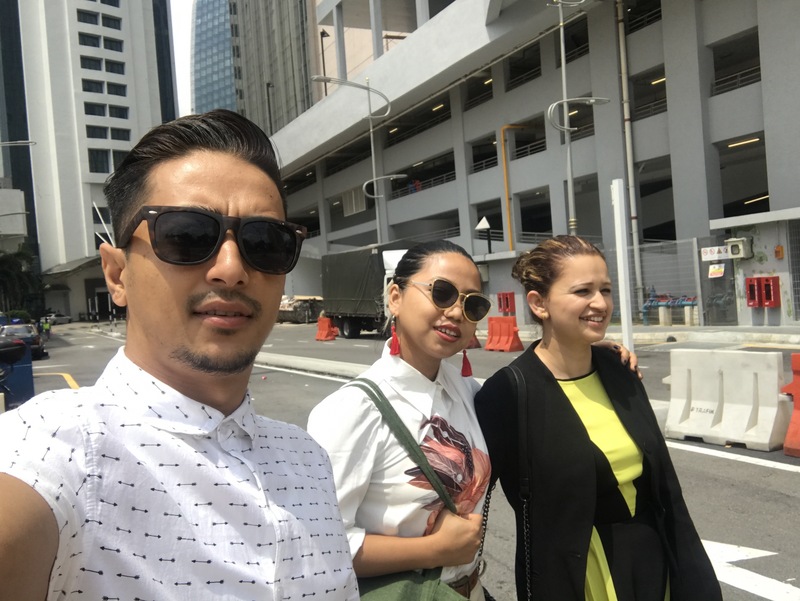 He talks about his love for nature, animals and wildlife, his culture and family and how it has always inspired him to paint through his professional life as a lecturer and physiotherapist. 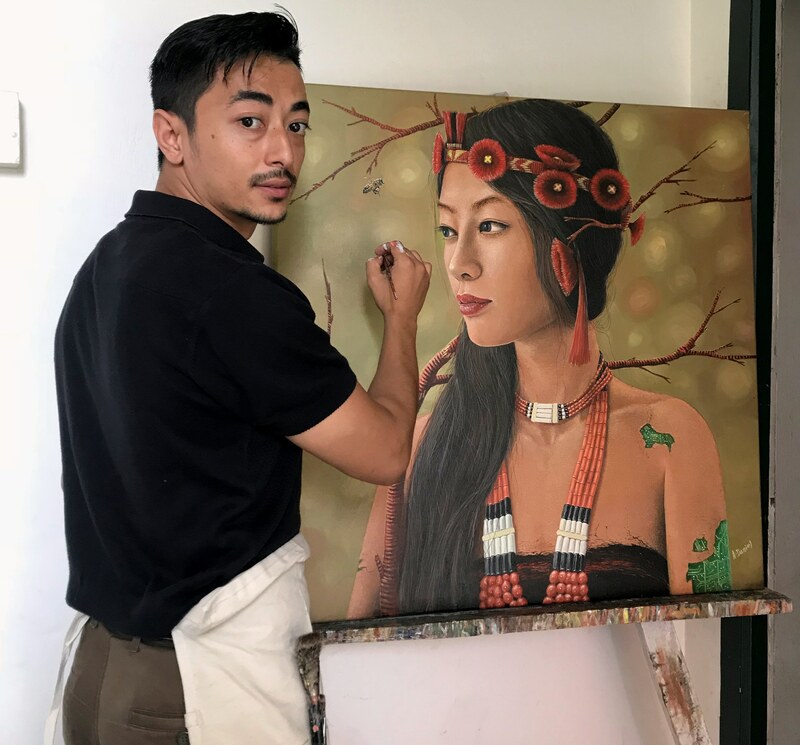 Daniel Rai is a painter from Gangtok. Hi Daniel. Tell us a bit about yourself. My name is Ajoy Daniel Rai. 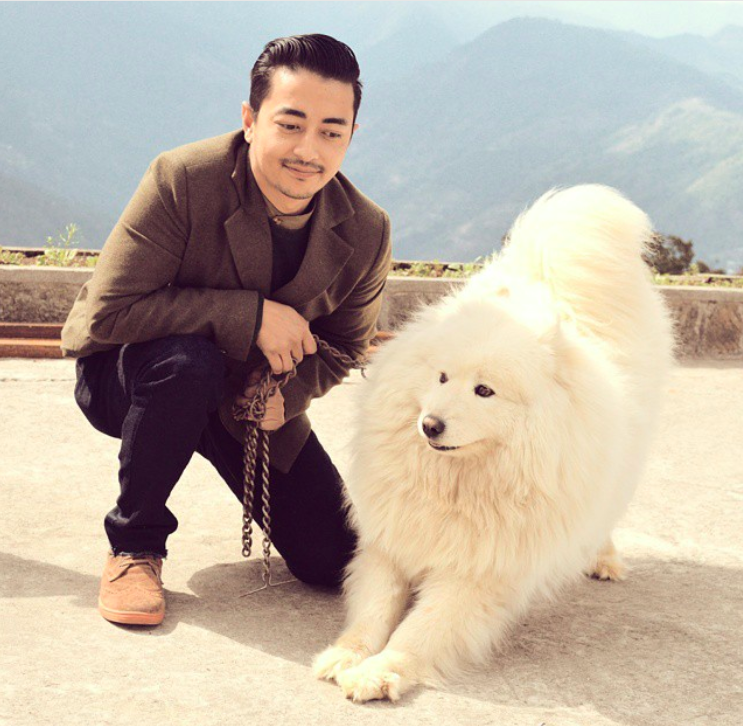 I live in Gangtok (Sikkim) and work as a lecturer in Sikkim Manipal College of Physiotherapy. I am from a village called Pastanga Assam Lingzey, where my house is surrounded by the lush greenery. 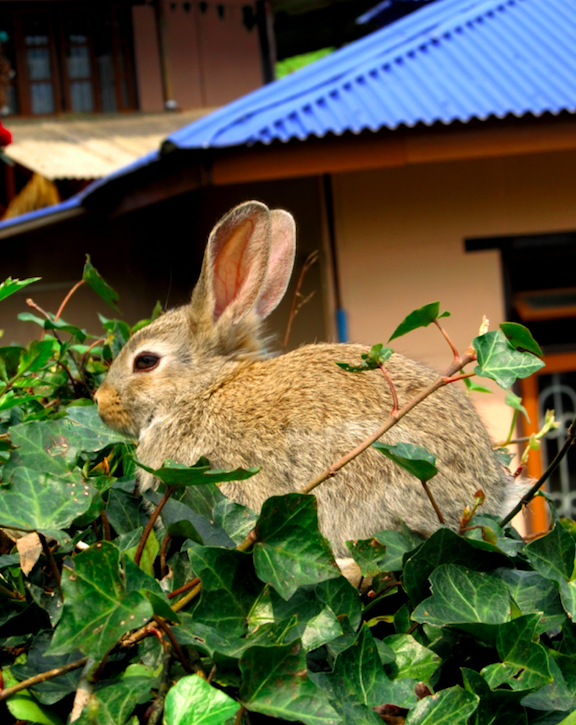 I love animals and currently, I have 22 pets – 2 dogs, 8 rabbits, and 12 fishes. Introduce us to your work. What got you started with sketching and wood-working? I started sketching at a very young age. When I was 4, I drew the carpenter who was working at my house. He appreciated my lines and my attempt to draw at that young age. My mother fondly reminds me of that memory. I started learning the art of carpentry at a young age and remember making miniature art models which I crafted from unused wood pieces. Growing up, my mother was busy taking care of my brother who had just started school so I had ample time on my hands to loiter around in my backyard. 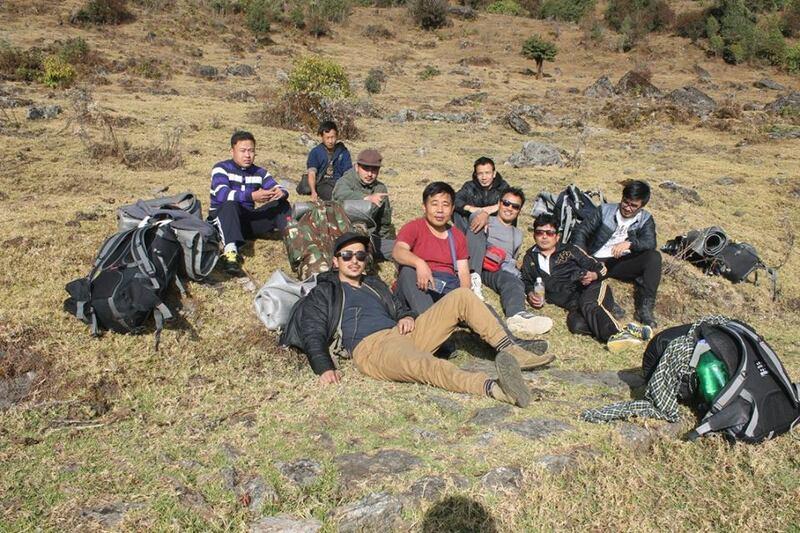 In literal words, my village is the base for a beautiful trekking route to Khedi, the plateau of rhododendron. So I’ve always spent my time drawing, sketching the nature, birds, animals and my dreams. My brothers and I used to trek to Khedi once every year, to refresh our souls. I used to take my sketchbooks along with me to capture everything I saw, in pencil and paper instead of photographs. Times have changed now though but, that’s how I got my start. 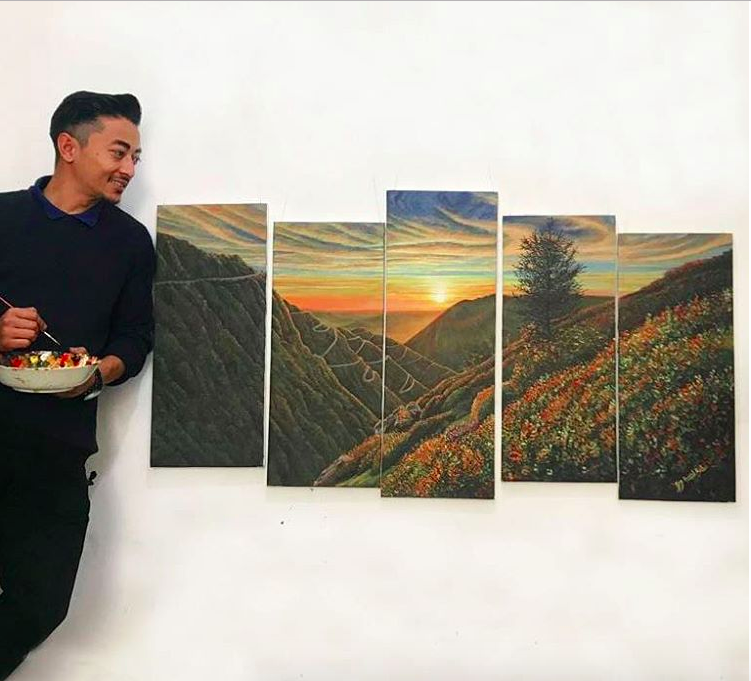 One of many gorgeous landscape scenes painted by Daniel Rai. The idea to portray art with the surrounding that I grew up in as a child developed a broader understanding of art in its truest form for me. 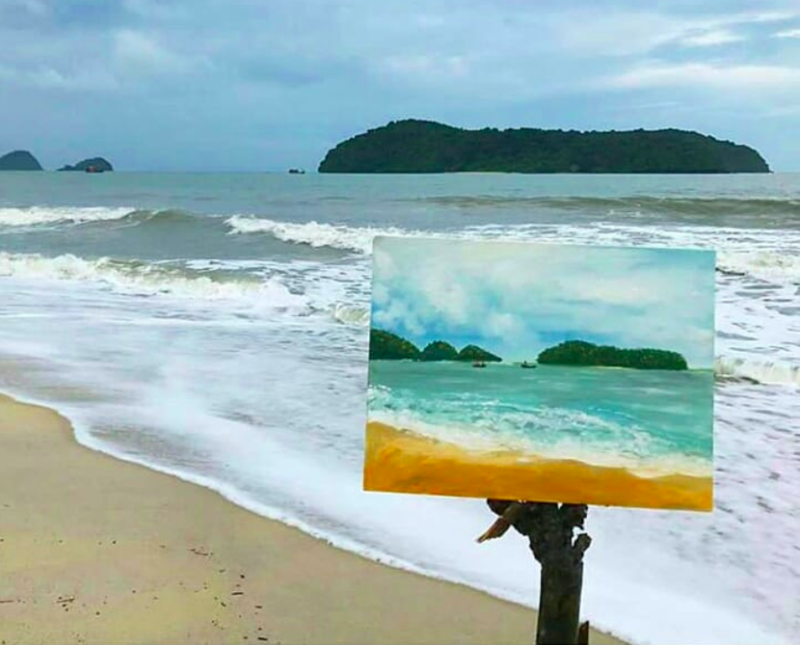 Hence, real-life experiences and the abundant beautiful nature around me captivated my interest to put art onto canvas or paper. 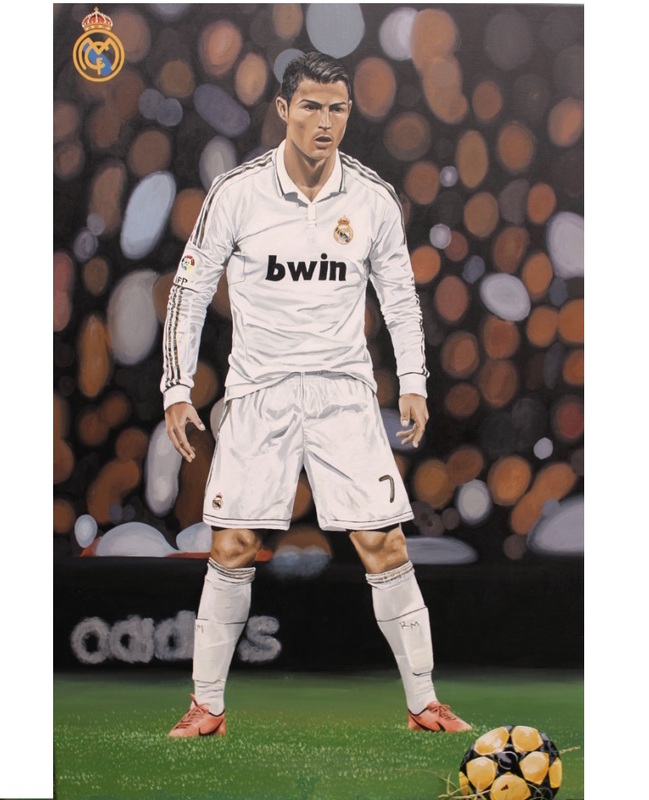 People around me appreciated my work but there was much scope to really make money selling art till I finished school – I sold my first ever painting to my friend in my first year of medical school when my friend asked me to paint Christiano Ronaldo for him. Daniel’s portrait of Cristiano Ronaldo was the first piece of art he ever sold. How have your roots and upbringing influenced your work? I have always been fascinated by the mighty Kanchenjunga compassing the blue sky as a picturesque view from my window. I was blessed to grow up amidst the nature and beauty of a variety of cultures and traditions. 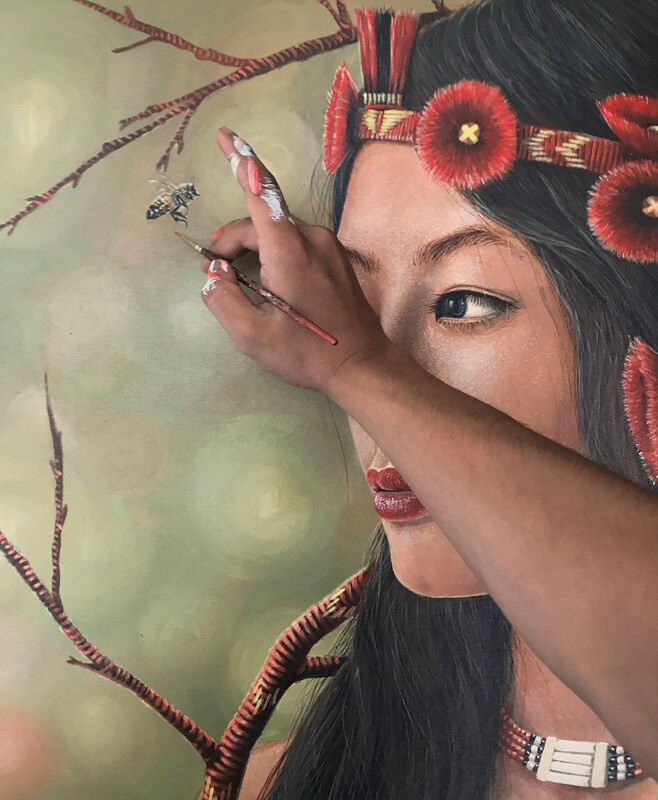 Perhaps everything around me was just so beautiful – my culture, my roots, my family, my pets, the gorgeous nature – that I was afraid to lose them someday so I started collecting them in the form of art pieces. Daniel puts the finishing touches on one of his gorgeous portrait pieces. What do you do full-time? If part-time, how do you manage to indulge in your hobby? Art is so important for me. It is passion and more than that, it is something I use it to look back on my life. I feel like I’ve been through an evolution process over these years of painting my pieces. When there is nothing to work on or paint, I like to travel and ride my motorcycle with my friends. 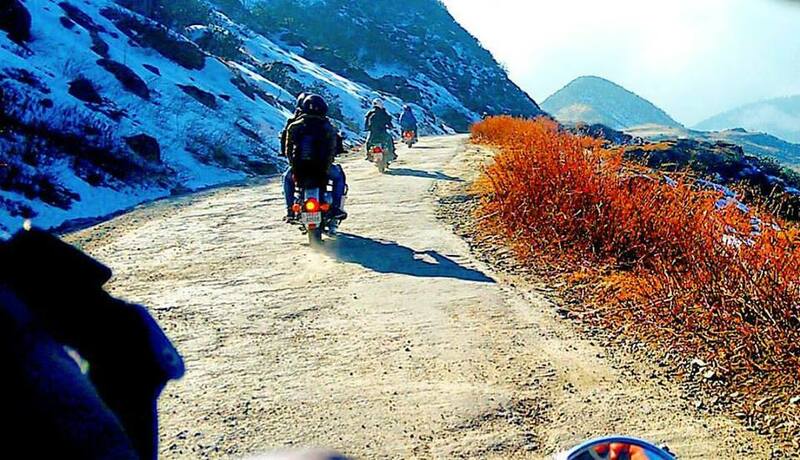 We have traveled on our bikes to all four districts of Sikkim, Bhutan, Nepal, and hopefully this year to Arunachal Pradesh and Nagaland for Hornbill Festival. What’s your creative philosophy? Where do you take inspiration from? I get addicted to the progress of work I look back upon. For instance, if I see that what I have done yesterday, I feel like I can do it better today. That pushes me to break my creative walls and do something out it. It pushes me to become a better person also individually and also as an artist. I take inspiration from different cultures, old folk tales, nature and wildlife. 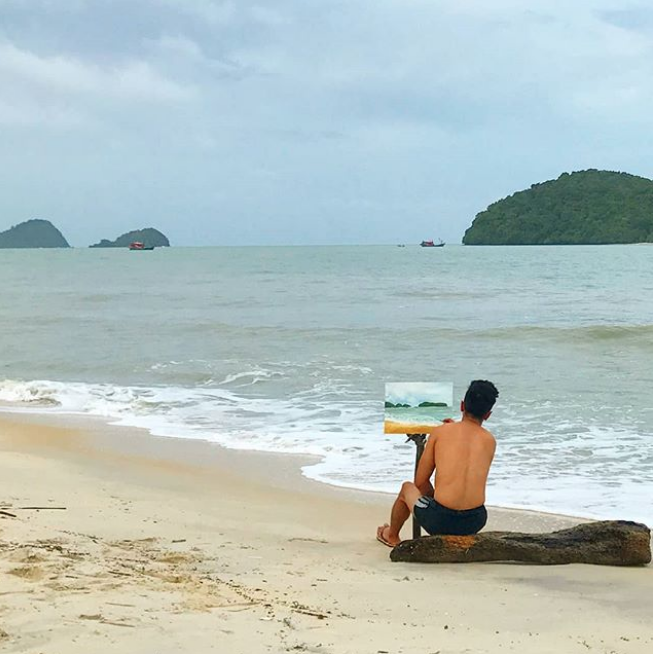 Daniel Rai live in action, painting a beautiful seaside scenery. I hope people feel the same way I feel when I paint my works. 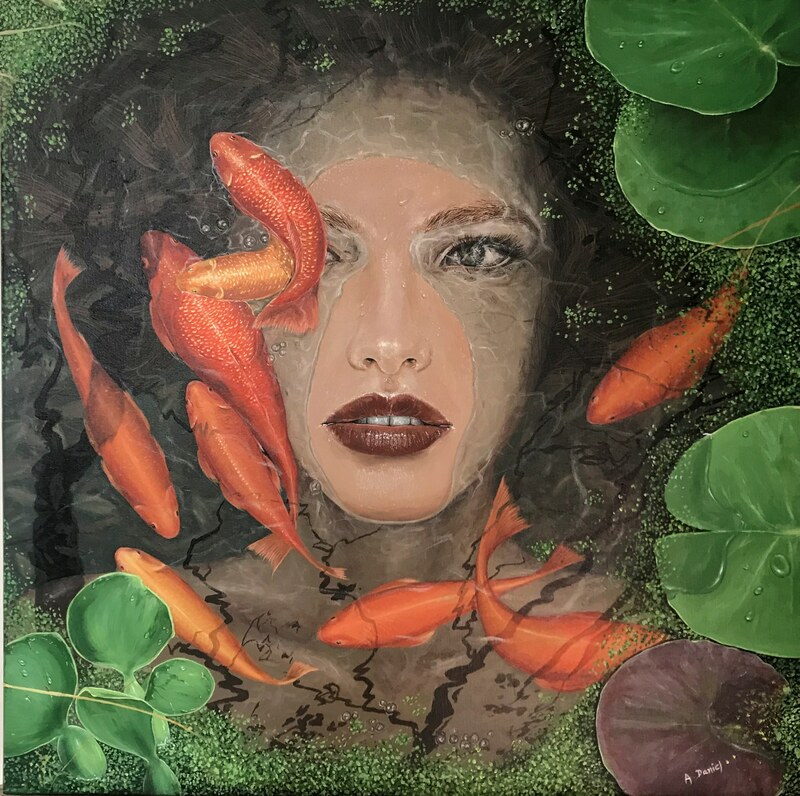 A lot of my work has an emotional attachment to women in society and the preservation of culture and nature. Tell us about your latest series of paintings. I am working currently on a series of paintings for an exhibition. It is something that interlinks nature and technology. 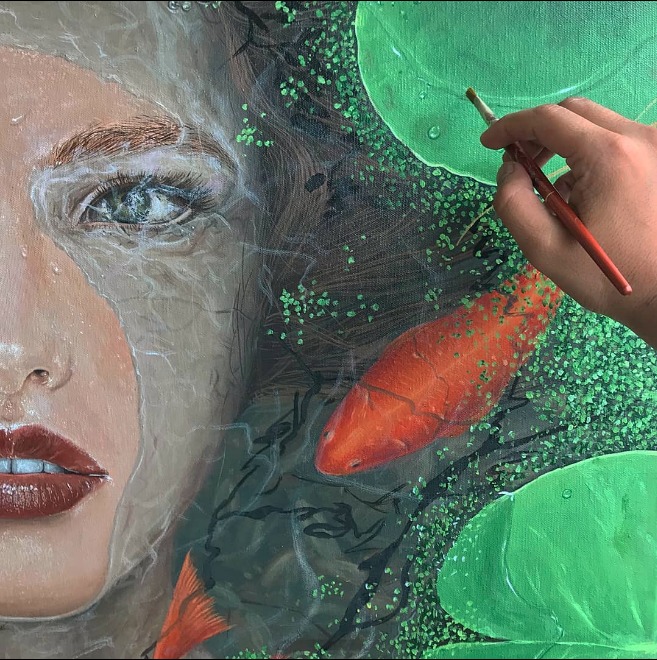 I do not know how to really describe the collection but perhaps when I finally finish painting them, you could see it and maybe tell me what it makes you feel.